In August, when I received the e-mail explaining how I could be compensated for interviews or book signings (see Cup of Comfort for Dog Lovers), I sorta, kinda put that e-mail in some file and figured I’d get back to it later. Because, deep down, I have this sorta, kinda lazy streak when it comes to promoting myself. But then I mentioned the idea of an interview to my friends at Our Town Magazine and they were happy to oblige. They’d get right on that. Except that one thing led to another…the publicist changed jobs, so I’d have to get in touch with the new publicist. Who sent the wrong Cup of Comfort book in the press kit to Our Town. And then I lost the address of the Our Town editor. I think you get the picture. For a sorta, kinda lazy person like me, this was turning into a major ordeal. It would have been easier, at this point, to forget about the interview; I mean, the Fame or Fortune was not going to rock my world. But that would have been classic Cathy C. Hall “What Not To Do” behavior. So I went back to work on it, did the interview, sent in the paperwork, and waited. Just the other day, I received a check. Compensation for my interview that appeared in Our Town Magazine in November. 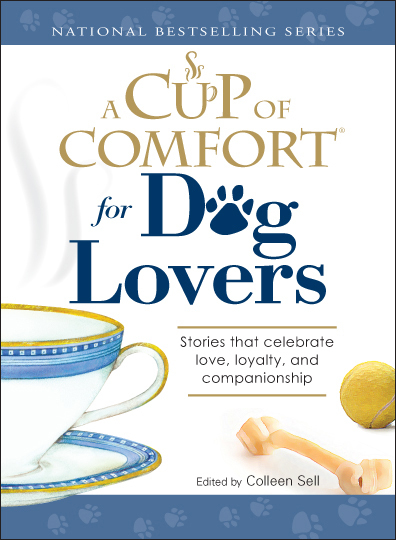 Since I’d completely forgotten about the whole episode (which is also classic Cathy C. Hall behavior) I danced around the kitchen, singing “Do You See What I See?” Cup of Comfort for Dog Lovers version. And you sang it beautifully. The dance, well; you sang it beautifully. Said Cathy C. Hall to Mr. Hall, “Do you know what I know?” My voice, my voice, soaring through the night, er, blog, it will give us goodness and…well, you get the point.Don’t hate me because I can sing. It’s so unbecoming.